publications that will be available for purchase. UNDERGROWTH is a book of drawings about an imagined parallel universe, an explosion of organisms in inner and outer space, a journey through the hairy underbelly of desert and the intestinal depths of the forest. a MFA from Emily Carr University. This year, in addition to exhibiting publications, Print Ready will have a GIF projection room containing digital works by local and international artists. It is our hope that these digital works, in conjunction with the printed matter of the exhibition, insight conversions and ponderings into how accessibility of media and the transference of narratives through media function in differing states. The works in this room are curated by guest curator Gillian Cole. Print Ready was started in order to promote the work of artists experimenting with self-publishing zines and books. 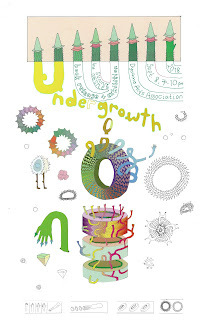 The aim is to foster additional support for artists working within the versatile medium of self-publishing. Print Ready is a non-profit project that hosts book and zine launches, in addition to large group exhibitions. 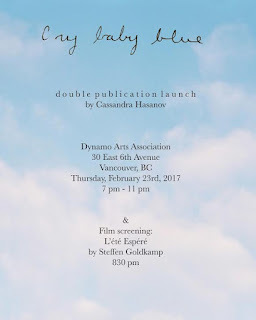 Our office is located in Vancouver at Dynamo Arts Association. 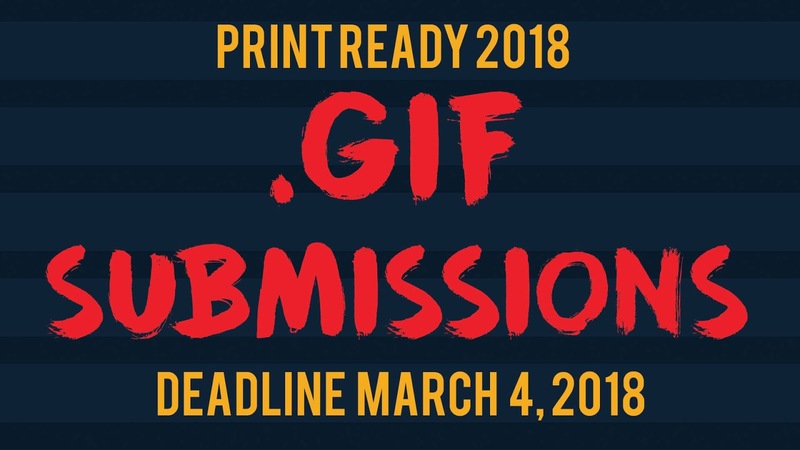 Now accepting submissions for gifs/media works to be a part of the 2018 Print Ready exhibition at Dynamo Arts Association. Print Ready is an annual self-publishing exhibition. This year Print ready will have a projection room which will showcase digital art work. There is no theme set for the gifs/media in the projection room. To accompany Print Ready's theme of Indi-publishing and DIY self-publishing; it is suggested that digital media submitted incorporate an analog, hand-made or DIY quality. The specifications for the artwork are 1080px by 1920px. If you have already made a gif and it is not this size, please size it down. If your gif is smaller than this size, please add a black border around the artwork so that it will match the specifications. 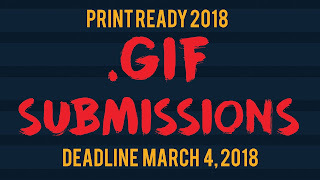 Submissions for Print Ready 2018 are closed! 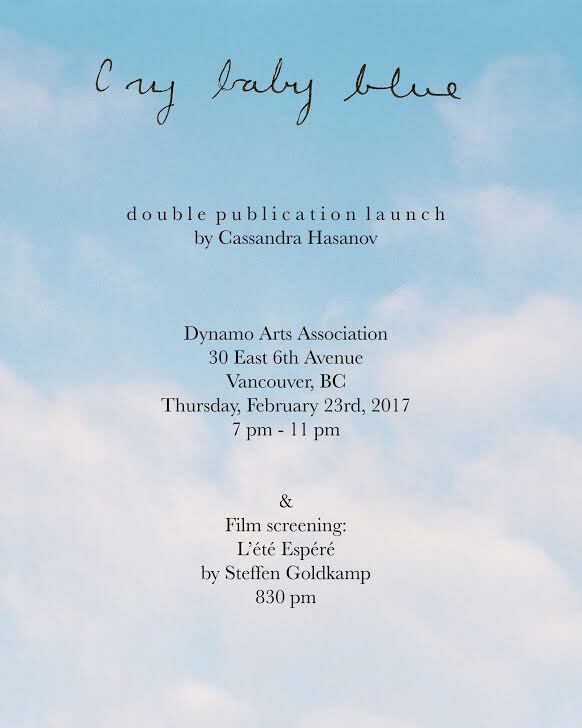 The next edition of the annual self-publishing exhibition will take place at Dynamo Arts Association on March 24th and 25th. Print Ready's mandate is to provide a small survey of contemporary self-publishing projects in a gallery setting. Special curatorial consideration is given to work that demonstrates "the artist's hand" including (but not restricted to) the incorporation of drawing, hand-lettering, collage, hand-binding, unique alteration and experimentation with print technology. Priority is given to works published within the past year. Individual artists are limited to one entry; collaborative projects may be considered as a separate entries. Artists may submit multiple collective publications. Artists are requested to provide an example image of their work and/or a link to their web page, along with a few sentences of description of their art practice or submission piece. Please indicate the format, size, and any special considerations for installation of the submitted work. Artists are required to provide one copy of each work/publication for installation. **Please note: This work will be on display for public viewing and, as a result, is expected to show signs of wear during the course of the exhibition. Artists are invited to supply additional copies (five suggested; 20 maximum) of each work exhibited for sale on their behalf. ***Print Ready is open to artists incorporating sculpture or other non-print material into the exhibition so long as it relates directly to their publication/work. If special arrangements for installation are needed, artists must contact and receive confirmation with Print Ready prior to the submission deadline, due to limited exhibition space. ***There is no entry fee for Print Ready. Artists receive all funds for works sold on their behalf. *** All work must be picked up the day following the exhibition unless prior arrangements are made with Print Ready. All publications not retrieved become property of Print Ready.